"Help I think I've been hacked"
"If I didn’t know any better, I would say my Mac has some type of virus…at least Safari does!" Looks like I may have a virus. I never did open up the site I was trying to access. Then, I had a pop-up. “System Scan is recommended.” I did not click on it. These are real snippets of texts and emails I've received from clients recently and I want to make sure it doesn't happen to you! 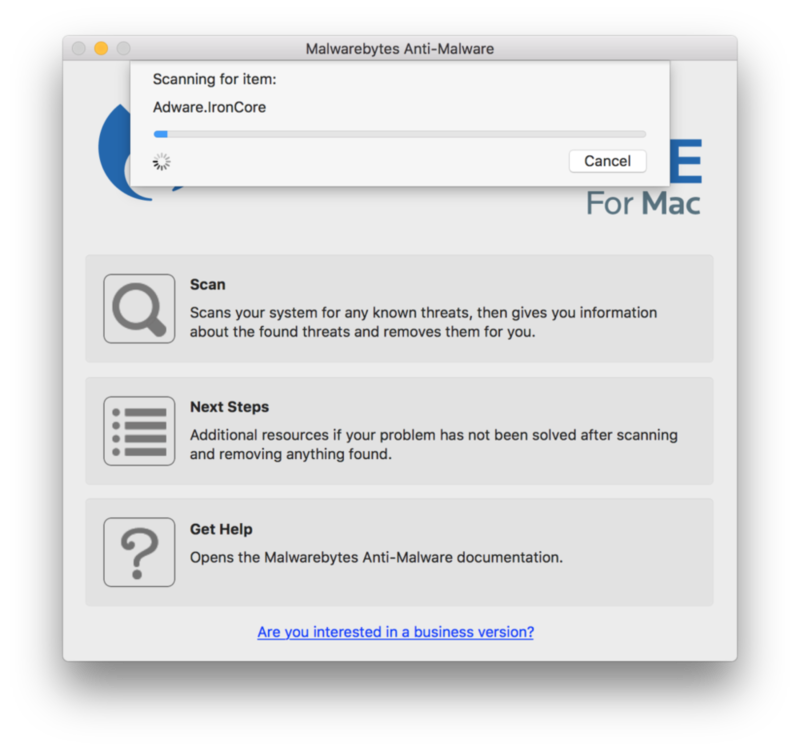 First off, Macs don't get viruses, they get either adware or malware. What makes a virus different from adware or malware is that a virus installs itself automatically on your computer without your permission. If you've ever had malware or adware you're probably wondering how that crap got on your computer. You may be thinking, "I didn't install that!" Adware and malware most often get installed on your computer under the guise of a video player update like Flash Player or an app that's supposed to clean/speed up your Mac, like MacKeeper. Nobody is going to download adware or malware on purpose, so they make their installer look just like a Flash Player update. Millions of people install this stuff accidentally, even the ones who are pretty computer savvy. It just happened last Friday to a client. So here's my PSA: Do not, I repeat, do not install Flash Player update, DIVX web players, MacKeeper, or any other thing like that. Even a trusted website that you go to all the time may have been compromised. You never know what site has been hacked and just a few lines of code slyly put on a page without someone noticing. So now what? If you get a message that your Flash Player is out of date and want to double check your version of Flash, go to System Preferences. At the bottom is Flash Player. Click the icon. 1. Click the Updates tab at the top. 2. Click the button to Install Updates Automatically. 3. Click Check Now if you want to see if you're using the most recent version of if you need to update. If you're free and clear, it will let you know the scan came back clear. If not, you'll see a list of items and a button to remove them. Click it, then restart your computer when it's done. Once your computer is back up and running, run the scan one more time to make sure it comes back clear. Note: If you ever get a message saying your computer has been hacked and call Apple at 888-555-5555, DON'T CALL THEM! You don't have a virus. It's just a clever ploy to get you to call and then they remote log into your computer, with your permission, then tell you the problem is a network problem and they'll fix it for you for so many hundreds of dollars and monitor it for you for so many hundreds more per year. It's convincing enough that I've had real clients give them their credit card. Many more have called and let these people remote log into their computer. This is the reason for this post. Madeline, my wife, has been telling me to write this post for some time as she's overheard me having the same conversation over and over again about these phishing schemes and accidental malware installs. If you ever need some help in this area, call me! But either way, download MalwareBytes and don't install random video players or even Flash Player updates. Let it update itself with the instructions above. If you get those pop-ups about viruses, just close them and quit your browser and reopen. It should be fine after that. It's just a scare tactic. 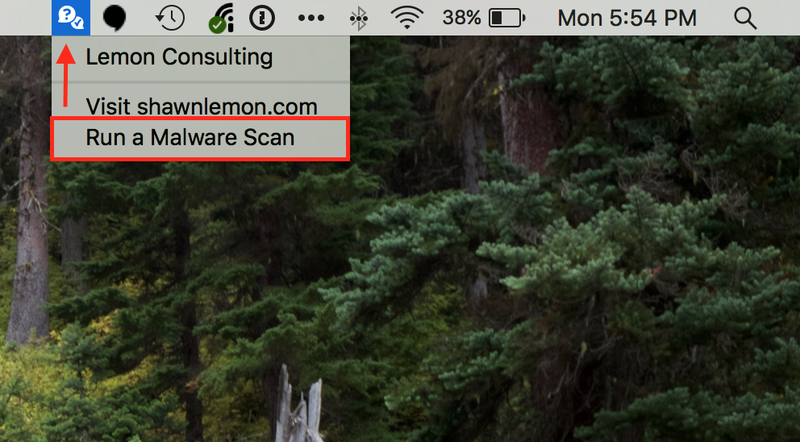 If you're one of my clients who signed up for my program that monitors the health of your computer, look for the icon in your menu bar that looks like this and choose "Run a Malware Scan". If you don't already have MalwareBytes installed, it will say Download MalwareBytes. Please share this on Facebook and email it to your friends. Trust me, they need it! I've been called by so many people I thought would have known better. My clients are always asking me what to do when they run out of space. Both on their phones and their Macs. A few days ago my client from Arizona, Bobbi, called because her iPhone was full and she was about to go house hunting in a new city and needed to have plenty of space to take photos and videos. She was worried that she would do something wrong and accidentally lose years worth of photos that were on her phone. The tools we use today, will not be the tools we use in the future. I LOVE technology. I love cool apps and gadgets, but there is a frenzy happening in the market for the next app that is going to change your life and all you have to do is buy this or subscribe to that.